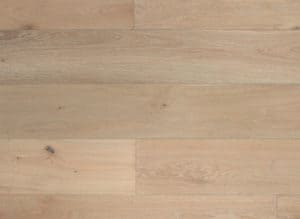 What are the best types of hardwood floors for kids? What types of hardwood flooring hold up best to kids and busy households? Kids can do a number on hardwood floors. In addition to the wear and tear from the rough and tumble games, you also have to deal with high chairs with plastic wheels, push toys and hot wheel races. So naturally, many of my customers ask me which types of woods are family friendly and hold up the best? 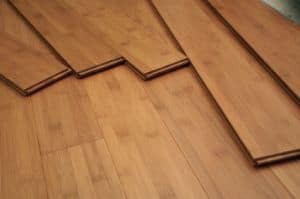 Before outlining the types of hardwoods that are most durable for kids, I do want to point out a few things. 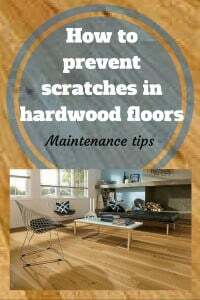 First, all hardwood floors scratch and dent over time (see the 3rd section for tips on preventing scratches). There is no way around this, no matter what wood you select and how careful you are. It’s a fact of life. 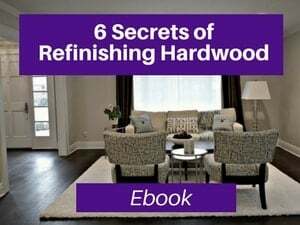 This article will provide advice on what hardwoods will last longer (and look better longer) and it will provide tips to minimize damage. 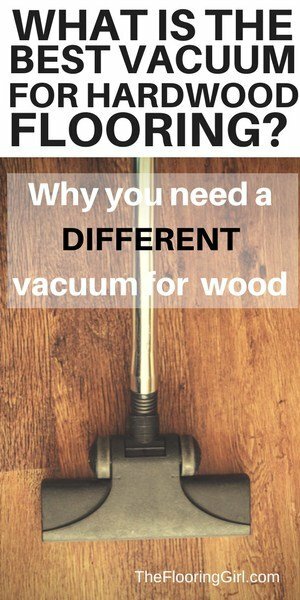 But, remember that you want to enjoy your home and your hardwood floors. 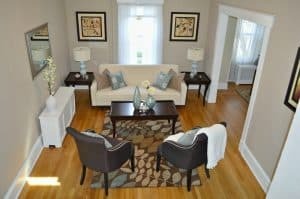 Second, because hardwood floors scratch and dent, it’s preferable to select a hardwood that can be sanded and refinished. You always want to have a back up plan. Third, it’s very possible that you may have conflicting priorities between the woods you prefer and the ones that are more durable. Only you can make the choices on these trade-offs and what is best for you and your family. 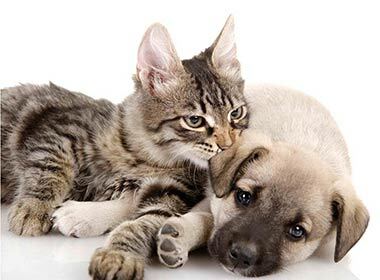 Fourth, the advice on selecting hardwood floors for kids also applies to woods that hold up better for dogs (you can read more about that here: What types of hardwood flooring is best for dogs? ), busy households and heavy trafficked rooms (such as kitchens, family rooms, entryways). Please note that this post may contain some affiliate links. You can read my full disclosure at the bottom of the page. 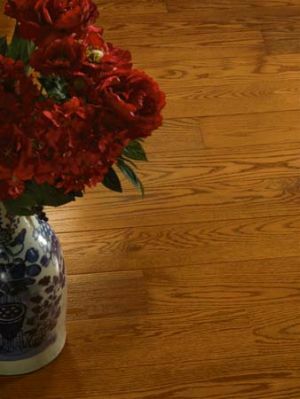 Hardwoods that have stronger graining tend to hide scratches and dents more. They camouflage them. Red oak, white oak and hickory are great examples of these. Oak tends to be on the less expensive side, so that is an added bonus. All 3 of these species are grown in the US. Hickory has several advantages as it’s harder (approx 1800 on the Janka scale vs. red oak which is 1290), has strong graining and color variation across and within boards. On the other hand, hickory has a more rustic (and busy) look when it comes in light colors, so it can be a bit polarizing. See below to see hickory natural vs hickory with a dark stain. When it comes to oak, red oak has more graining and looks more traditional; white oak has smoother graining and more mineral streaks for a more contemporary look. The 1st picture in this section is red oak and the picture to the right is white oak. To read more about red oak vs white oak hardwood, check out this article. Yes, light floors show scratches less (and they show dirt less, too). When wood scratches, you see the underlying base wood underneath. When you have a light floor, it is more similar to the raw wood color, so it shows less. So, you may want to consider going natural or selecting a very light color. 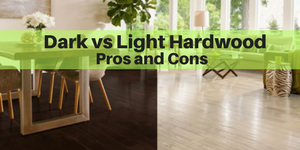 You can read more here: Dark hardwood vs Light hardwood. If you’re refinishing your hardwood, you are better off using either a high grade of oil based polyurethane (e.g. Duraseal) or a high grade water borne poly (e.g. Bona Traffic HD). In addition, make sure you are getting enough coats of poly. You really should be getting 3 coats of polyurethane. If you have a very busy household and you have dark hardwood floors, you may even consider adding a 4th coat of poly. 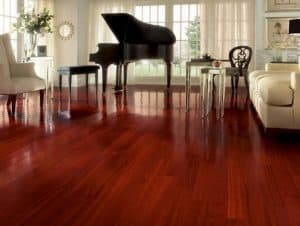 Alternatively, you may consider getting an coat of poly 3-4 years after you’ve refinished the floors, but before the floors get badly scratched. 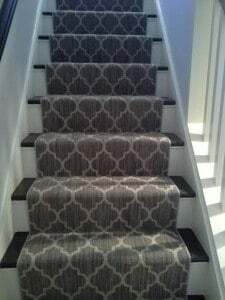 This is a preventative maintenance steps that can prolong the life of your floors, and it’s called a screen and recoat. 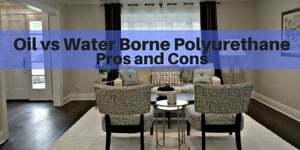 To read more about the best types of polyurethane, check out Which are the best brands of polyurethane and which do I recommend? The shinier you go, the more it shows scratches, dent and dirt. So, choosing a satin (or even a matte finish) will be look better longer and be easier to clean and maintain. As it turns out, satin and matte finished are more stylish, so you’re not making a trade-off. 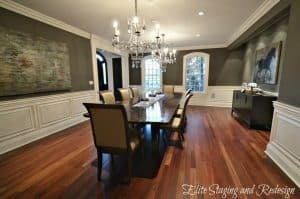 You can learn more about hardwood finishes in this article: What type of sheen is most in style for hardwood floors? All things being equal, harder hardwood species hold up better. (You can read more about this here – The janka scale – how hard is your hardwood?). 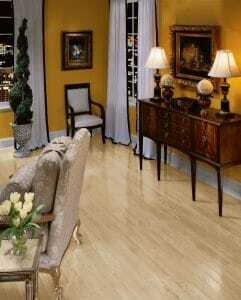 The exotic hardwoods, such as Brazilian Cherry, Brazilian Walnut or Brazilian Teak are on the harder side. But, of course all things are never equal. 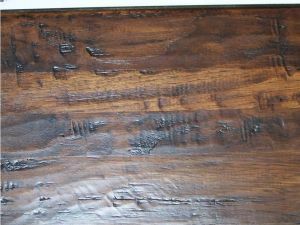 The exotic hardwoods tend to be darker and have smoother graining, so they show scratches more. Maple, on the other hand is a bit harder than oak and it’s light, so it’s a better choice. However, maple is more expensive and it’s more challenging and more expensive to refinish (as you consider your long term costs). So, often oak and hickory are more practical choices. The key, to me, when it comes to hardness, is to avoid the really soft woods such as most pines, bamboo (see below), Douglas Fir, American Cherry and American Walnut. (Note: American Cherry/American Walnut are soft while Brazilian Cherry/Brazilian Walnut are hard). Both are dark and show scratches more. You can read more about the most popular species here (and see lots of pictures). Solid hardwood is generally a better hardwood option, especially if you have kids and busy households. Your floors will get scratched; it’s just a matter of time. 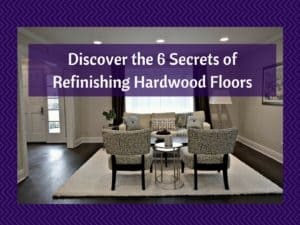 So, you want the ability to be able to refinish the floors in the future. When you sand and refinish the floors, not only do you restore them, but you also have the ability to change the color. So, if you prefer darker floors, but choose light floors for when your kids are younger, you do have the option to sand and refinish them later. 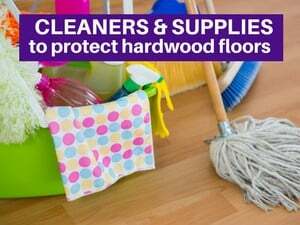 In addition, for those that are concerned about chemicals and VOCs for their kids, solid hardwood is a better option, as engineered wood uses adhesives that can off gas (and of course some cheap imported engineered wood may have traces of formaldehyde). Note: If your house is on a concrete slab (which happens more often in warmer environments), solid hardwood may not be the most practical option (due to structure, height and cost), so engineered wood may be more common. If you do have kids and need to get engineered wood, invest in a high quality engineered wood with a thick wear layer that can be refinished at least 3 times (and make sure it is glued down (rather than floated) so that it can be sanded. But, all things being equal, solid hardwood will be a better choice. It will last much longer and it will give you an insurance policy and peace of mind. 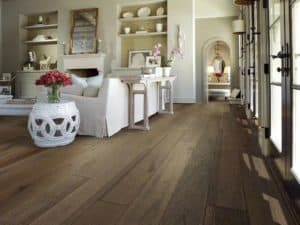 Check out this article: Solid vs Engineered hardwood flooring for more information on the pros and cons for each structure. 7. Pre-finished vs Site finished floors??? You will see contradicting opinions about this online. In my opinion, it’s a toss up as to which option is better if you have kids. The advantages of pre-finished hardwood is that most have a harder finish due to the aluminum oxide. This gives the wood extra scratch protection. However, pre-finished woods tend to show scratches more. So, when you get a scratch, it’s much more obvious. 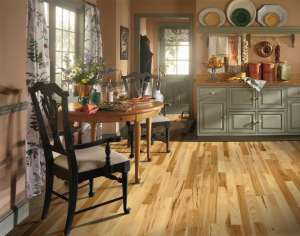 In addition, many pre-finished hardwoods tend to have shinier finishes (and these show scratches and dirt more). See this article on Pre-finished vs Site finished floors for more info. Hardwood floors with more character camouflage scratches and dents more. 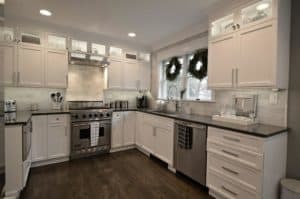 This can be achieve with distressed or hand-scraped floors, floors with lots of knots and hardwood with lots of color variations (e.g. character or rustic grades). When you get dents or scratches in these floors, they blend in and look natural. Bamboo does not hold up well to scratches (or water for that matter), so they are not a good option if you have kids (or pets). They also tend to show scratches more. Yes, there are some stronger ones (e.g. strand woven bamboo) that do hold up better, but they still have a lot of issues with scratches and these are poor choices for heavy traffic areas (e.g. kitchens). You will see mixed reviews about bamboo online (and in big box stores). But, if you dig deep enough, you will see that it’s the cheaper big box stores that are pushing these products because they are cheaper and it’s an easy short-term sale for them. 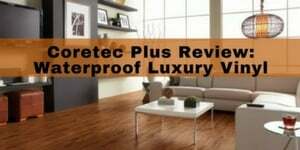 But, if you go to most reputable flooring stores and contractors, you will see that they are close to unanimous in their poor opinion for bamboo. Remember, you get what you pay for. Most bamboo is grown, manufactured and shipped from China. The cheaper ones sold in Big Box stores tend to hold up even worse as they have more adhesive (and there is some question about the safety of some of these) and they are harvested sooner, so they are weaker. I will also mention that virtually all bamboos can not be refinished. Shinier finishes show scratches, dirt and dent more (as more light reflects off of them). Shinier finishes are also dated. Instead, I’d recommend satin or matte finishes as they will look better longer and they are more stylish. Softer woods tend to dent more easily. And, darker woods such as American Cherry and Walnut show scratches more. So, these are not the best options if you have kids. If you are moving into a new home with these types of woods (you find them more often in older homes from the 1930s and before), I’d recommend adding an extra coat of poly and go less shiny in your finish. 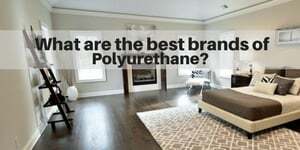 See this article: Which are the best brands of polyurethane and which do I recommend? Oiled floors have been rising in popularity as they have a very natural and matte look. Some people also love that they can do spot repair in sections when they have scratches or minor damage, and this is definitely an advantage. However, oiled floors entail a lot more maintenance (and the oil and cleaning products are more expensive) and importantly, they don’t offer the same type of protection to your floors. So, if you have spills, pet accidents, etc, the wood floors will absorb the water (or urine). 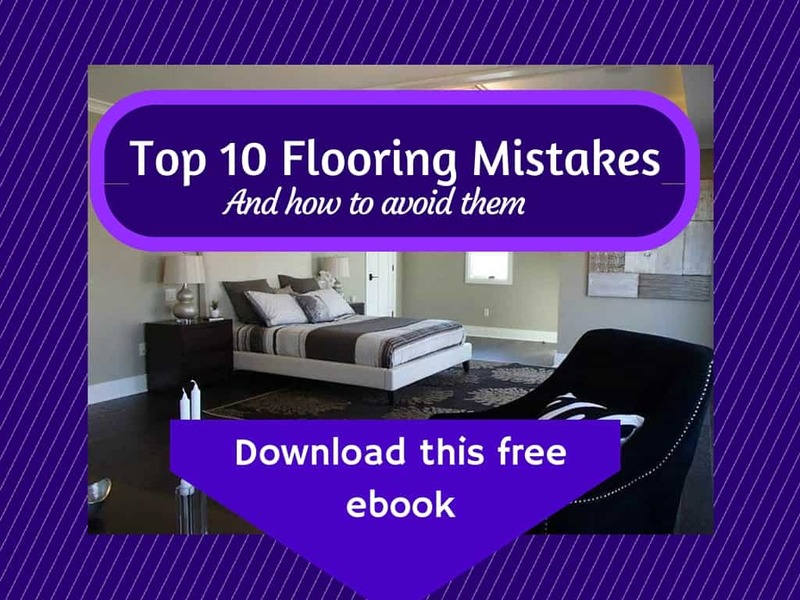 So, for busy households can wear down these floors quickly and you may spend a LOT of time spot cleaning and obsessing over your floors. If you want less maintenance, go for a traditional polyurethaned floor. 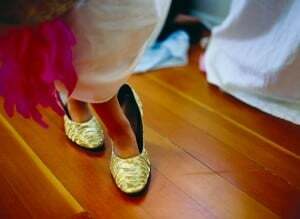 Take your shoes off – Yes, this is probably the best thing for your hardwood floors and will prolong their life. It’s an easy step to take and doesn’t cost a cent. 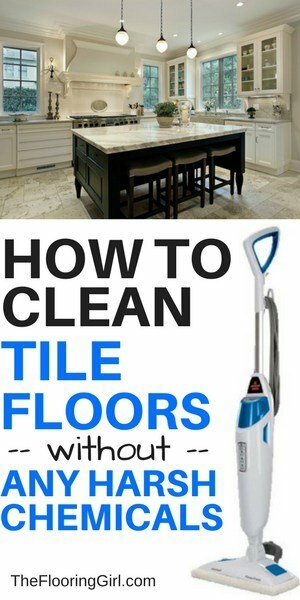 This will also keep your floors cleaner, which is even more important if you have young ones. Add felt pads to chairs – These can make a huge difference, especially for chairs that moved frequently (e.g. kitchen chairs). You can order some felt pads here from Amazon. I’d recommend ordering some extra ones, as they do fall off. In key play areas, add some rubber or soft foam tiles for little kids. These are often challenging to find in stores. 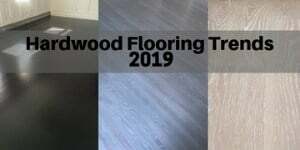 The best selection and best prices I’ve seen has been on FlooringInc.com. They also have some reasonably priced soft foam options on Amazon.com. Avoid rolling chairs…or get plastic mats and wheels that scratch less. Here’s where you can get the plastic mats. If you must use rollers for chairs, consider buying these Office Chair Caster Wheels – Ideal for hardwood floors on Amazon as they are better for hardwood floors. Clean regularly to get the dirt/grit up. Swiffers or similar products are ideal. 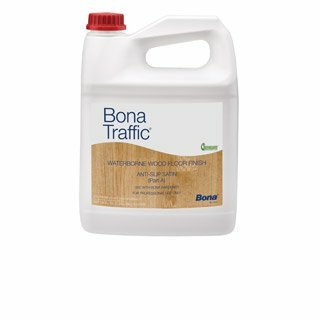 Bona is the most highly recommended hardwood cleaner. Check out my recommendations on cleaning products. Consider doggie socks if you have a dog. I recommend these to my customers who are refinishing their hardwood floors as dogs must stay off the floors for at least 2 weeks. 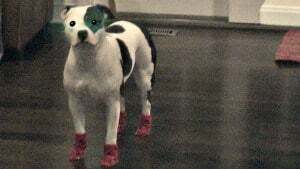 Doggie socks allow them to walk on the floors sooner. These can also reduce scratches on the floors at any time. 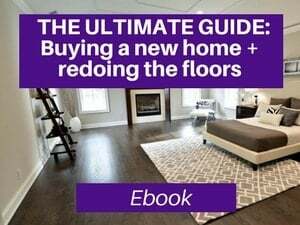 I hope this helps you select the best hardwood floors or stain colors/treatments for your home. And, hopefully the tips to prolong the life of your floors will help you, regardless of which wood you choose. Let me know your feedback or any questions you may have below in the comment section. What are the best types of hardwood if you have dogs? Selecting eco friendly wood options offers you more sustainability and durability over any other wood options. We purchased a home from previous owners and I’m not sure what type of wood floors we have. How can I tell? 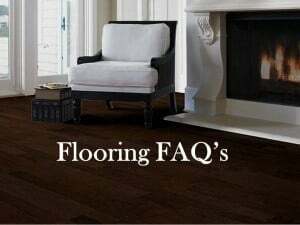 The best way would be to have a local flooring professional come by for an estimate. Alternatively, you could take some pictures and go to a store. Which type of solid hardwood flooring and/or poly or oil-based sealant (and how many coats if you have cats (urine!))? Thanks! The recommended number of coats of poly would be the same, regardless of cat urine or not. Generally 3 coats of poly is best. BUT, importantly, you CAN NOT apply any poly until the urine is removed…either sand it out or replace the wood in those spots.